The unit was running fine but it appears the plug circuitry overheated and went bad. Is it okay to replace the existing plug by cutting it off at the end and replacing it with a new socket that’s rated the same? From the pictures I’ve attached you can see the circuitry and wiring. There is a fourth wire (non insulated) in the background and I’m uncertain of its purpose. I haven’t been able to find any information with a plug schematic for this unit. I don’t want to leave it disconnected in case it’s a safety feature. Is there a plug replacement that someone might be able to recommend. The home improvement stores sell a GFCI plug replacement but it only have 3 terminals. I contacted LG to get a new power cord but it cost $120. Greedy a holes! Browse other questions tagged electrical wiring repair switch or ask your own question. 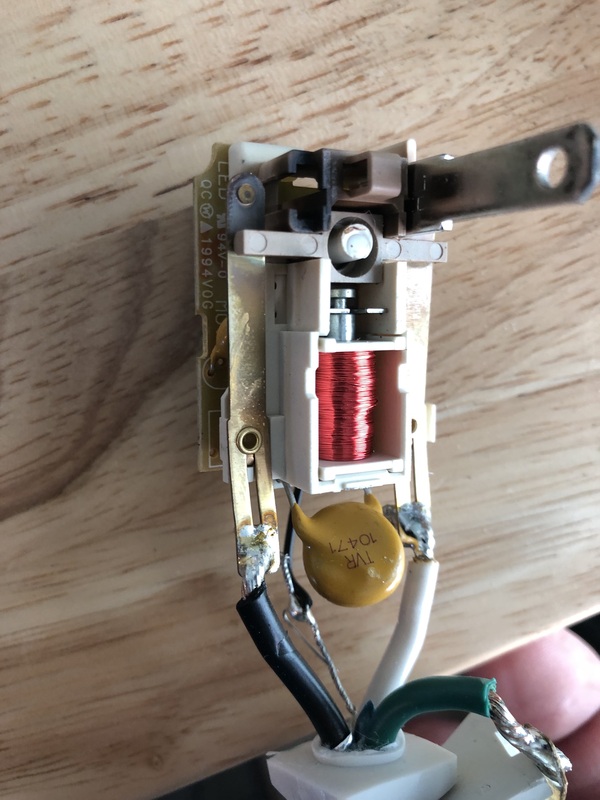 Oven suddenly tripping circuit breaker…bad oven or bad breaker? Can a plug melt when unit is not turned on? How can I wire this bathroom fan into the middle of an existing circuit? Hue Light Strip - Best outdoor, long run equivalent?